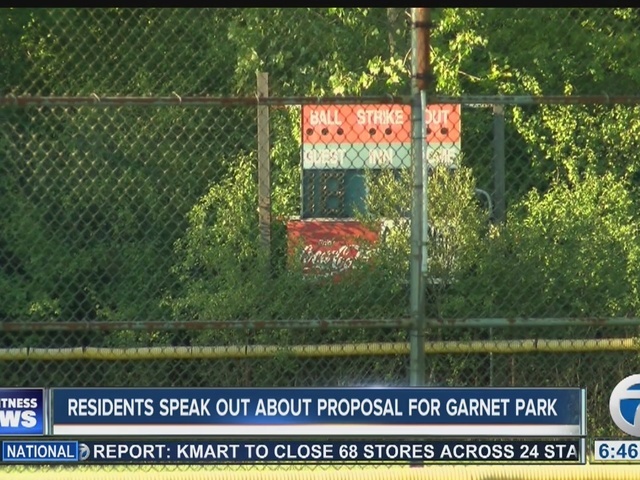 A public hearing for a proposal that would extend Northtown Auto's parking lot into Garnet Park took place Monday night at the Amherst Municipal Building. Garnet Park sits on many people's backyards, including the Ahmed brothers who have lived on a road off of the park for four years. "We enjoy this place you know?" said 22-year-old Jehad Ahmed. "We grew up here... four years! It's been memories." "I come out here and play soccer here and there with my nephew," said Jehad's brother, 20-year-old Abdul Ahmed. The proposal would extend Northtown Auto's parking lot approximately 35 feet into the park. 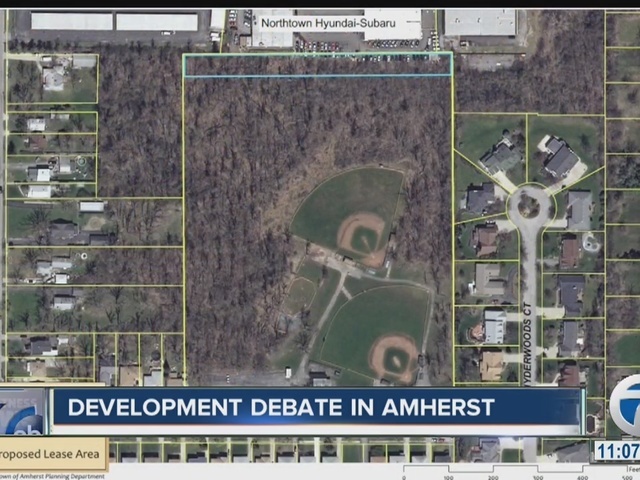 Rick Gillert, Planning Director for the Town of Amherst said they're looking into having a 20-year lease with the auto dealership. "When that lease is terminated, they would be responsible of returning that land to park-like status," said Rick. We're waiting on statement from Northtown Auto. This proposal is still in the planning stages and funding is still being discussed. Rick said a lot of the money would go towards improving the park. "It needs some lipstick," said Rick Gillert. "We have a long way to go to bring our parks up so that we can look at them and really be proud of them." Susan Gallagher has lived next to the home for 22 years. She's concerned the loss of parkland will bring more animals to her backyard. "There's a lot of wildlife in there... deer habitat, a lot of birds living there... They've already by paving other similar areas in the neighborhood have pushed the deer into our backyards and they eat all of our shrubbery," said Gallagher. "But I'd rather have that than have them pave anything more." Rick said Monday night's public hearing is only the beginning. Voting still has to happen and several other groups, including the Office of Parks and Recreation, still have to weigh in on this.